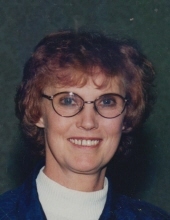 Judith A. Smith, age 75, passed away on Friday February 8, 2019 at the Jackson County Medical Center in Maquoketa. A celebration of life will be held on February 23 from 1-5 pm at the Pub Club in Lost Nation. Judy was born April 13, 1943 at Wheatland to John and Marie Hicks Sievers. She was united in marriage to Richard L. Smith. He passed away on February 10, 2001. Survivors include 2 sons, Jason of Lost Nation and Jack (Lora) of Wheatland; grandchildren Austin, Alex and Alivia Smith and Annavey and Drew Gruenwald. She was preceded in death by her parents; husband; brother John Sievers; and daughter Tyanna Marie. Judy enjoyed gardening, fishing, snow skiing, and helping other people. Her greatest joy was her family, especially her grandkids. To plant a tree in memory of Judith A. Smith, please visit our Tribute Store. "Email Address" would like to share the life celebration of Judith A. Smith. Click on the "link" to go to share a favorite memory or leave a condolence message for the family.